Liberal government takes a tentative first step towards new revenue for transit, with a proposal for high occupancy toll lanes. Photo by joshlabove from the Torontoist Flickr Pool. Ontario’s still new-ish premier, Kathleen Wynne, wants us to know that she takes transit, and our lack thereof, seriously. She is willing, she’s said repeatedly, to stake the future of her government on introducing new taxes and tolls to pay for new transit lines—certainly a political risk when she leads a minority, and when her government faces accusations of mismanagement and waste on gas plants, ORNGE, and in several other portfolios. Her government’s first budget, unveiled today, took one small step towards achieving that goal, by proposing a new series of high occupancy toll (HOT) lanes: once the system is in place, drivers who are alone in their cars will be able to pay to use high occupancy vehicle lanes (HOV) otherwise reserved for carpoolers. The initiative is expected to raise only a fraction of the total sum we’ll need, though that’s only partially the goal. 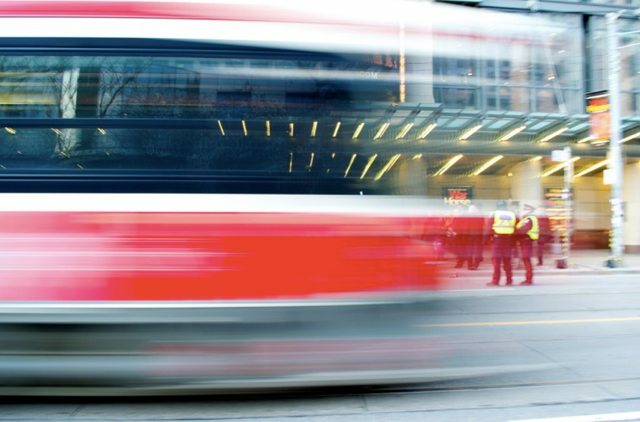 What the government is hoping to do, officials said today, is move the conversation forward—start easing Ontarians into the idea that new tools for transit are coming. Photo by Daily Grind Photography from the Torontoist Flickr pool. Metrolinx is the provincial agency in charge of planning transit for the Greater Toronto and Hamilton Area (GTHA). They’ve developed a long-term plan for building the next several rounds of transit in the region, called The Big Move. On May 27, they’ll release their recommended “investment strategy”—a suite of new taxes and tools to pay for all that new transit. In interviews the premier has been clear that she doesn’t want to “pre-empt” Metrolinx by committing to specific revenue tools in advance; frustratingly, she hasn’t even been willing to clarify how she’ll go about weighing their advice when it does come, and what values are most important to her in deciding among the various new taxes and levies. Nonetheless, one of the revenue tools on Metrolinx’s short list is in this year’s draft budget: the HOT lanes are among the taxes and levies the agency may include in its final recommendations. Provincial officials today tried to clarify that the budget isn’t meant to interfere with Metrolinx’s process; they are still looking forward to seeing Metrolinx’s recommendations when they come. All they are calling for in the budget, officials say, is the beginning of a process: they will hold consultations and devise a specific plan by the end of the calendar year. That may end up coinciding with Metrolinx’s plan, should that agency also like the idea of HOT lanes, or it may provide the government with an additional option not included in Metrolinx’s recommended list of tools. Estimates vary wildly about how much money HOT lanes could raise. In its recent report on the subject the City of Toronto projected it would generate $25-45 million if levied on all 400-series highways in the region. Today finance minister Charles Sousa put the revenue estimate at $250-300 million. Given that the details of the plan haven’t yet been worked out, we can take that as the government’s revenue target; it won’t be clear for a long time how they’d reach that figure, how many or which roads would have a toll, or what rate it would be charged at. No matter which figure we end up with, it’ll only be a small piece of the final equation: the cost of the new wave of transit construction is $2 billion a year. Effectively, the HOT lanes are a way of trying to acclimatizing us—it’s the shallow end of the pool. This specific new tool will go down easier, the thinking goes, because it coincides with a substantial expansion of the number of HOV lanes in the GTHA: Sousa said today the province is more than doubling the HOV lanes in the region, and “as we do that we want to be able to offer choices to those who use them.” HOT lanes might also go over better with residents because it’s an opt-in system (since drivers can choose to use toll-free lanes) rather than a mandatory levy, and because it’s being levied on an activity that has a clear correlation with transit, in targeting drivers who are alone in their cars. 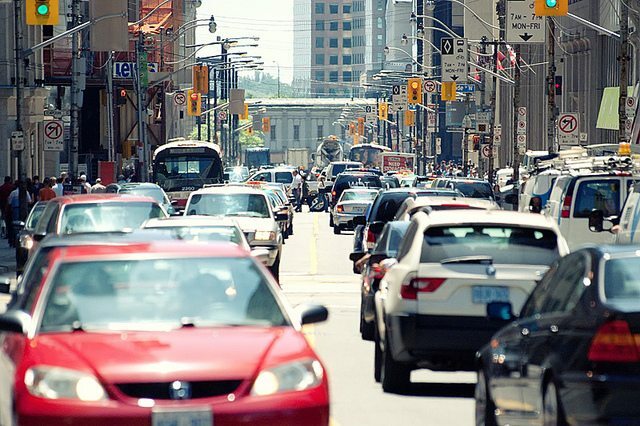 There’s some evidence to bear this theory out: when the City of Toronto commissioned a survey on the range of revenue tools under consideration, HOT lanes were one of the most popular options, with 49 per cent of residents saying it was among the tools they’d be most interested in. (This put HOT lanes in third place, after development charges and a parking levy.) Whether the NDP will agree, and sign off on a budget that includes a new revenue tool (something they have previously opposed), remains to be seen.